Packing light is one of the most important keys to a successful vacation. However, when you are vacationing with babies, packing light is almost impossible. Babies require quite a few accessories. Regardless of what you are doing, babies usually need diapers, wipes, bottles or nursing covers, special food, bibs, blankets, toys, clothes and extra clothes, and a stroller. A bulky stroller can be a huge waste of valuable space inside a car. Even if you are packing for a short trip you may not want to give up all the space that a stroller requires. I have four kids and drive a Honda Pilot. I love my Pilot, but it's one flaw is that there is hardly any room in the back when the third row seating is in use. Even if I wanted to I couldn't bring a large bulky stroller with me to use for my baby. Fortunately, I learned a trick a few years ago that has saved me a lot of stress. 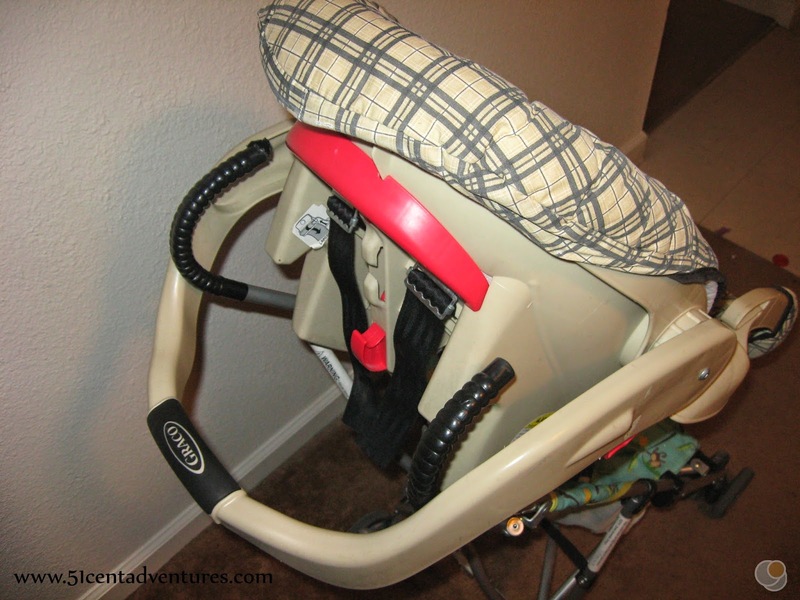 The trick is to combine a regular rear facing car seat with an umbrella stroller to create a stroller that is easy to store and easy to set up. As an added bonus it allows you to move your baby from the car to the stroller without getting them out of the car seat. This is especially nice when the weather is cold or when you have a sleeping baby that you don't want to wake up. You start with an umbrella stroller. You can find these for under $20. These are a good investment because they fold up small. Even pre-school age kids fit in these strollers so this stroller will be useful long after your baby outgrows his car seat. Next you take a regular rear facing car seat. Sorry, but this trick wont work with the convertible front/rear facing seats. 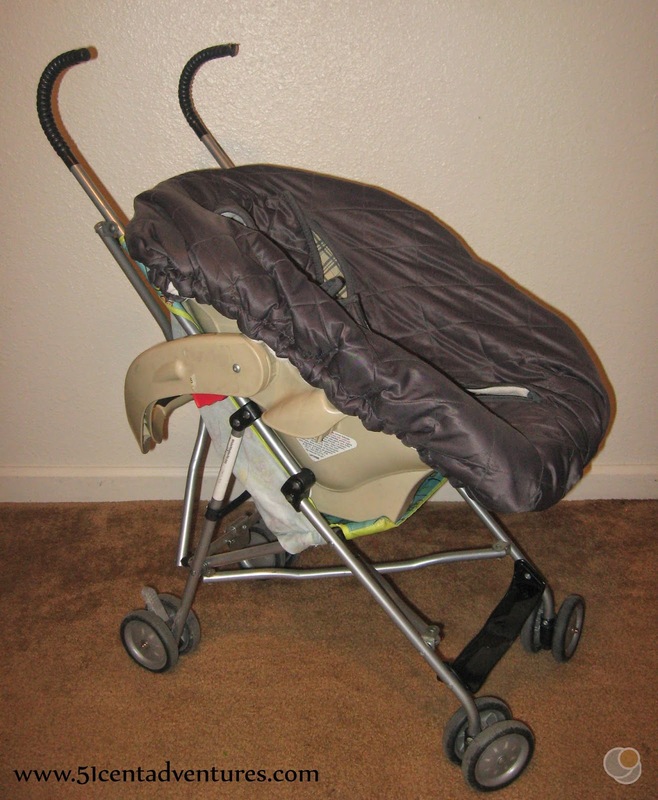 Here are the three easy steps to combine your car seat and umbrella stroller. 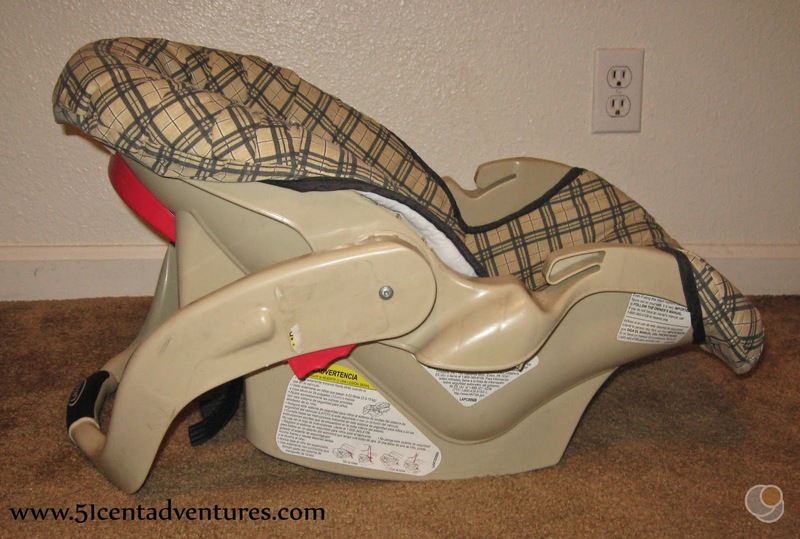 Step 1: Move the car seat handle to the lowest position. 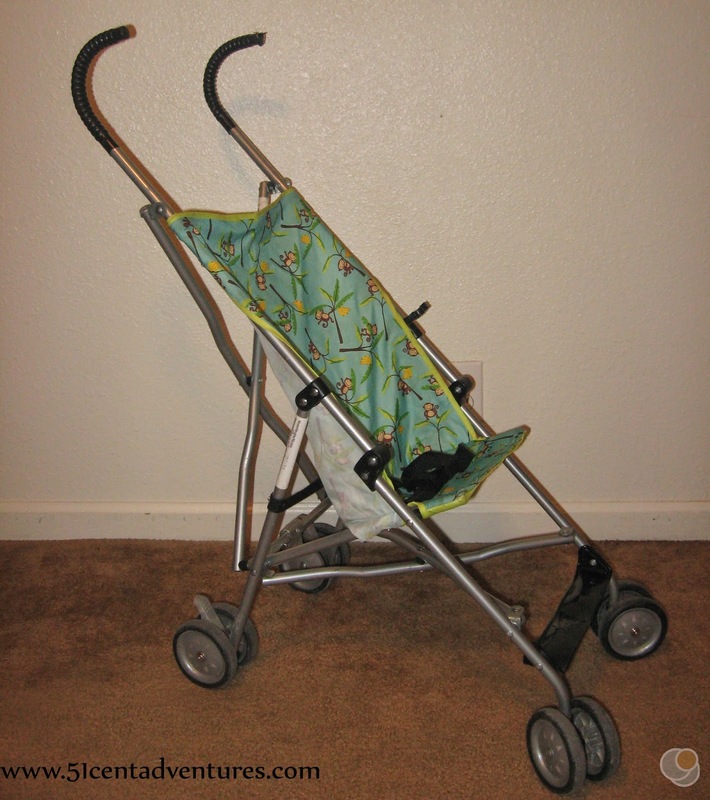 Step 2: Carefully place the handle of the car seat over the umbrella stroller handles. This is a little tricky, especially with a baby sleeping in the car seat, but I promise, it can be done. You might want to practice with an empty car seat in your living room before you try to do this for real in a parking lot. 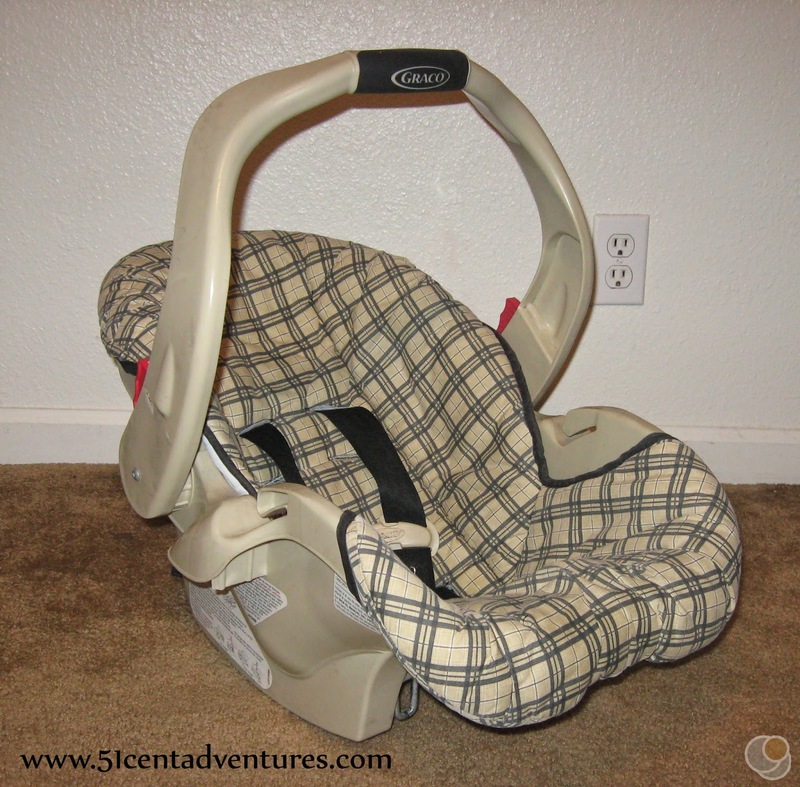 This is what the car seat and stroller will look like once you've placed the stroller handles through the car seat handle. 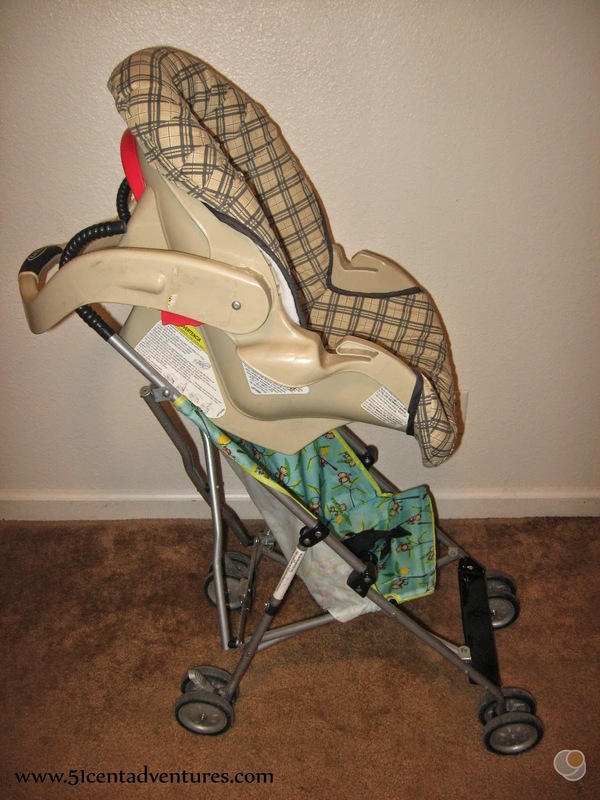 Step 3: Slide the car seat so the bottom is resting on the seat of the umbrella stroller. Make sure everything is secure, and you are good to go. I use a car seat cover to keep my baby warm in the car. When I put the car seat on the umbrella stroller the cover continues to keep her warm. I love that I don't have to expose her to the cold. Here is my beautiful baby modeling the stroller in use. This picture is from our trip to Utah back in December. This stroller was so useful because it hardly took up any room in the Honda, it kept her warm amid all the snow, and we didn't have to wake up a sleeping 3 month old every time we needed to get in or out of the car. 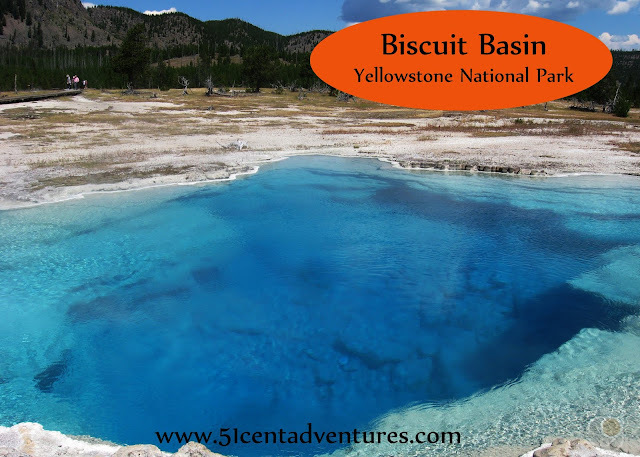 I hope this trick helps you out as you plan your next adventure. 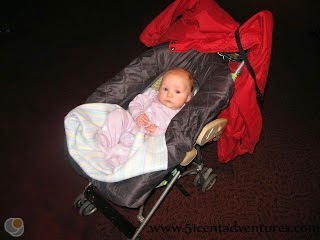 In future posts I'll talk about other ways to bring your baby along for the fun. I'll talk about front and back packs, double strollers, and even triple strollers. Trust me, after carting a triple stroller around for a year, it's heavenly to only need an umbrella stroller these days. Neat trick. 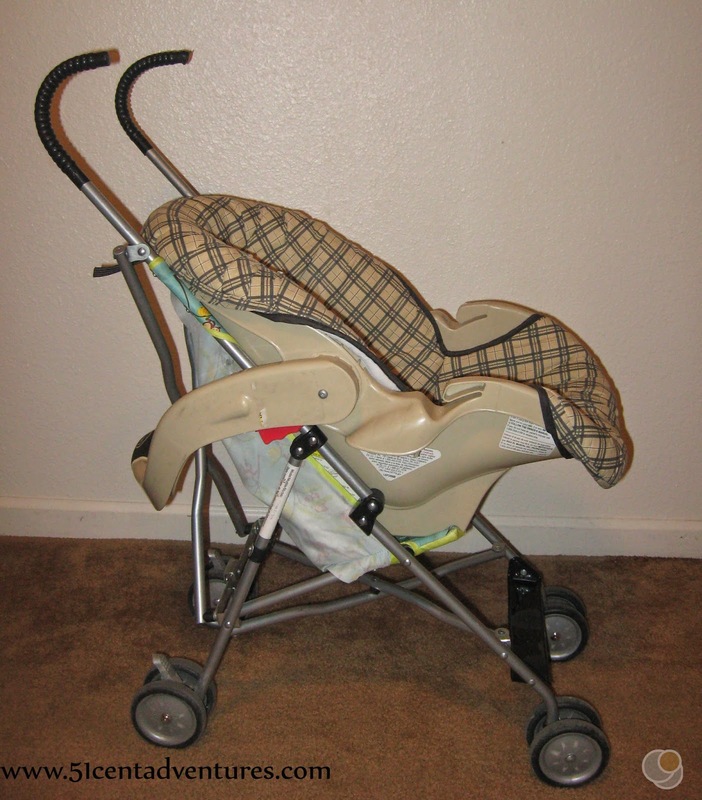 We had a frame stroller that we clipped our carseat into when our kids were babies. 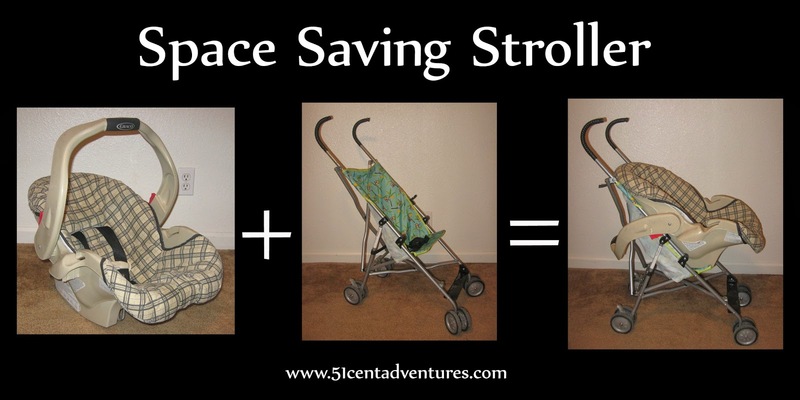 We loved it, but this sounds much more economical since you don't have to buy another stroller when the kids get bigger.